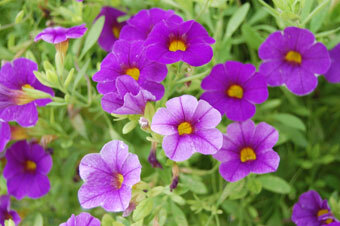 It may look like a miniature petunia plant, but Calibrachoa is in its own class. It’s also called “million bells” and it grows quickly with a profusion of flowers. Perfect for hanging baskets and container plantings, Calibrachoa spills over the side of the container, softening the edges and adding depth to the appearance of the planter.